What is the rationale behind free schools? The coalition government has encouraged parents and independent groups in England to set up their own schools - called free schools. There are now more than 400 free schools either open or approved. A key Conservative manifesto pledge is to open 500 more by 2020. They are often run by an "education provider" - an organisation or company brought in by the group setting up the school - but these firms are not allowed to make a profit. The schools are established as academies, independent of local authorities. Unlike local-authority-run schools, they are exempt from teaching the national curriculum and have increased control over teachers' pay and conditions and the length of school terms and days. How did they come into being? Free schools were much talked about in the run-up to the general election in May 2010. They were the flagship policy of the then shadow education secretary, Michael Gove. A month after he was appointed, he invited groups to submit their proposals for free schools. Free schools were given approval in the Academies Act 2010, which also paved the way for existing state primary and secondary schools to become academies. The act also stipulated that all new schools had to be academies or free schools. This meant local authorities lost their power to create new schools, although they still have responsibility to ensure there are enough school places locally. What sorts of groups have applied to set up free schools? In the first round, there were 323 applications; 115 were from faith groups. Chains behind academies also came forward to set up schools. Applicants included the journalist Toby Young, who went on to set up the West London Free School and Katharine Birbalsingh, the teacher who strongly criticised the state education system at the Conservative party conference in 2010 and who went on to set up a free school in north London. What do groups have to do to set up a free school? They must submit a full business case, rather than a broad-brush plan as originally required. Officials say this requires detailed answers to questions about parental demand, the type of education the school will provide, its ethos and the capacity and capability of the groups themselves. These business cases are then judged against other free school proposals and scored for strengths and weaknesses. Short-listed applicants are called for an interview to discuss their proposal. What money is available for free schools? Free schools will receive no additional money per pupil for their day to day running. Funding is worked out on a per pupil basis, like other schools. A total of £50m - taken out of an axed technology fund for schools - was initially allocated for free schools for the first year of the policy, up to April 2011. And in November 2011, the government announced it had ear-marked an extra £600m on building 100 new free schools in England over the next three years. Prime Minister David Cameron says a future Conservative government would open a further 500 free schools by 2020. This would bring the total number of free schools to more than 900, with 500,000 places. Do free schools exist in other countries? Similar schools exist in the United States and in Sweden. In these countries, non-profit - as well as profit-making groups - can set up schools funded by the government, but free from its control. These schools are called Charter Schools in the US. Where are free schools being housed? Free schools do not need to acquire a site before they apply to become a free school, but they should at least identify one possible site. This may be a disused school site, an old library, church buildings or former local authority buildings. Several are in renovated listed buildings. How are free schools be regulated? They are subject to inspections by England's schools watchdog, Ofsted, just as other schools are, usually within two years' of opening. 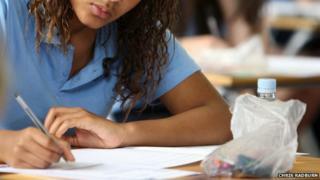 Their Sats (primary national curriculum tests), GCSE and A-level results are published in league tables in the same way as those of other state schools. Free schools are expected to operate an inclusive, fair and transparent admissions policy. They cannot be academically selective, and take part in their locally co-ordinated admissions process, so parents apply for a place for their child in the same way as for other maintained schools. If a faith-based free school is undersubscribed, every child who has applied must be admitted, whether they are a faith or non-faith applicant. If it is oversubscribed, its oversubscription criteria must allow for 50% of places to be allocated to children without reference to faith. Free schools are expected to abide by the Admissions Code, which applies to all state schools in England, with the exception that the government has said the children of free school founders should be able to get a place at the school automatically. Under their funding agreements (the contract signed between the education secretary and those setting up the school), free schools must "use their best endeavours" to meet any special needs of pupils, while disability legislation requires them to make "reasonable adjustments" to provide for disabled students. The government says the free schools programme gives parents and teachers the chance to create a new school if they are unhappy with state schools in a local area, and that competition will drive up standards. But critics, including the Labour party and several teachers' unions, say are divisive, are likely to be centred disproportionately in middle-class neighbourhoods, to weaken already weak schools by attracting the best performing pupils, and will contribute to creating a two-tier system. Local authorities want powers to create new schools to be returned to councils, as it is they who are legally responsible for ensuring there are school places for all local children. They say the new system means councils have no say in where the new free schools are placed. There are also fears the changes will give too much freedom to faith-based schools or fundamentalist agendas - although schools must show their curriculum is "broad and balanced" and government guidelines say creationism must not be taught as a valid scientific theory. And some critics are angered by the funding and administrative time going into what they consider to be a "pet project" promoted by former education secretary Michael Gove, which benefits relatively few children at a time of spending cuts in education and youth services. Teachers' unions are also critical of the fact that free schools do not have to employ qualified teachers. Others say the government has missed an opportunity by not allowing free schools to be run for profit.